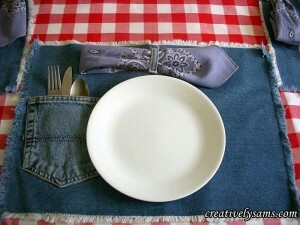 Kathryn who blogs at Bee In Our Bonnet saved all her families old denim jeans for three years! 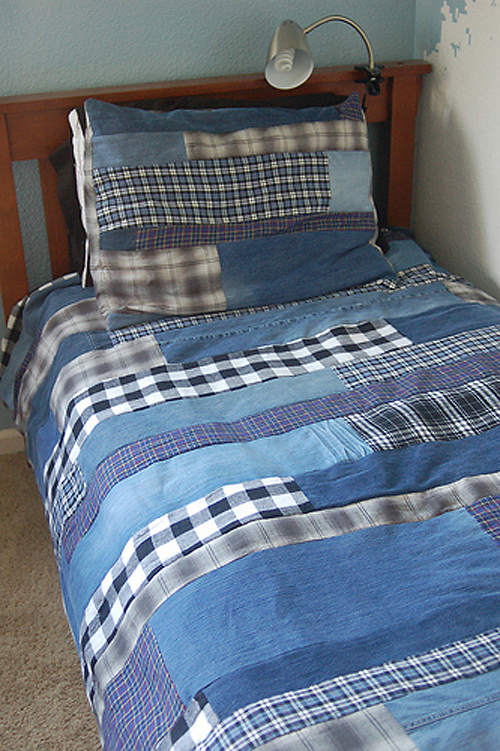 That’s a long time but all that denim was put to good use when she decorated her son’s room and made these wonderful patchwork denim and flannel quilts for their beds. 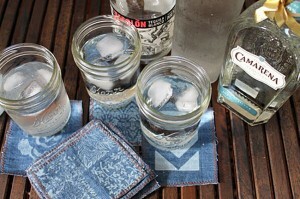 I’ve seen similar quilts in high-end, home-decorating catalogs and the prices are always way up there. 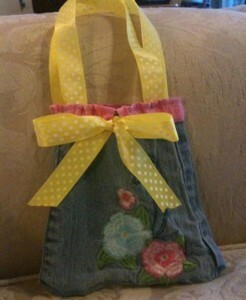 I love the pattern Kathryn created in her design and the different shades of denim are really pretty! 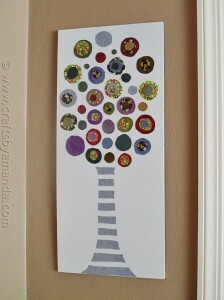 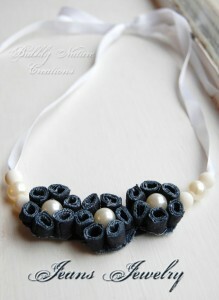 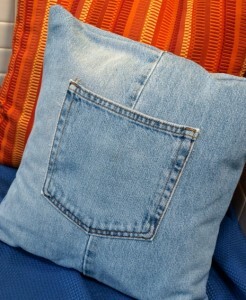 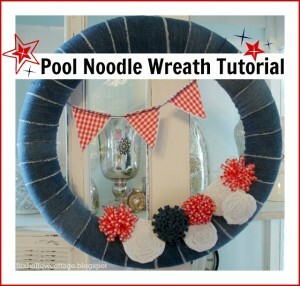 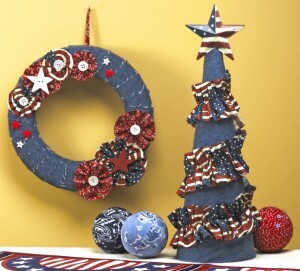 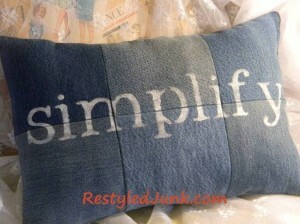 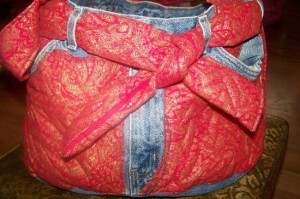 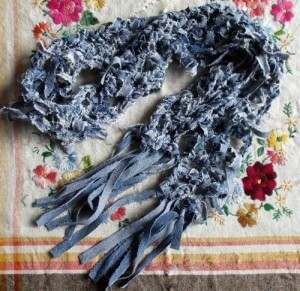 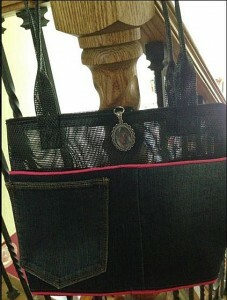 What a terrific recycled denim project! 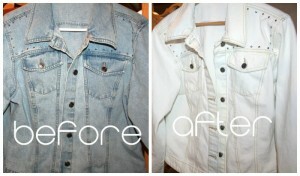 It pays to save those old jeans!